Robert Lang, Pentasia, 2014, 500 squares of paper. Photo courtesy of the artist. Origami—the Japanese tradition of folding paper into recognizable objects—dates back at least 1,000 years, with possible roots in Shinto purification rituals and gift exchanges among the nobility. By the 18th century, the practice had come into popular use, and in the mid-20th century, it was further modernized and popularized by Akira Yoshizawa, who is considered the first true “origami artist.” Yoshizawa created enchanting new designs and introduced a system of notation for origami folds that become the international standard. Today, origami is so popular that it is practiced all around the world. In the hands of a number of extraordinary contemporary artists, the art form has recently been evolving in remarkable new directions, including sculpture, large-scale installations, and conceptual works. Above the Fold: New Expressions in Origami presents the work of nine renowned artists working in six different countries and ranging in age from 29 to 71. 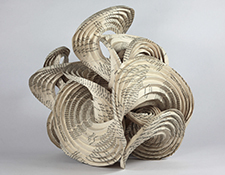 These artists—Erik Demaine and Martin Demaine (Canada/USA), Vincent Floderer (France), Miri Golan (Israel), Paul Jackson (UK/Israel), Robert J. Lang (USA), Yuko Nishimura (Japan), Richard Sweeney (UK), and Jiangmei Wu (China/USA)—have been pushing the boundaries of origami to elevate what was once considered a children’s craft into a sophisticated global art form. Each work, created specifically for this touring exhibition, presents a unique perspective on contemporary social, political, and aesthetic ideas. Above the Fold demonstrates how origami has become a multifaceted method of artistic expression. 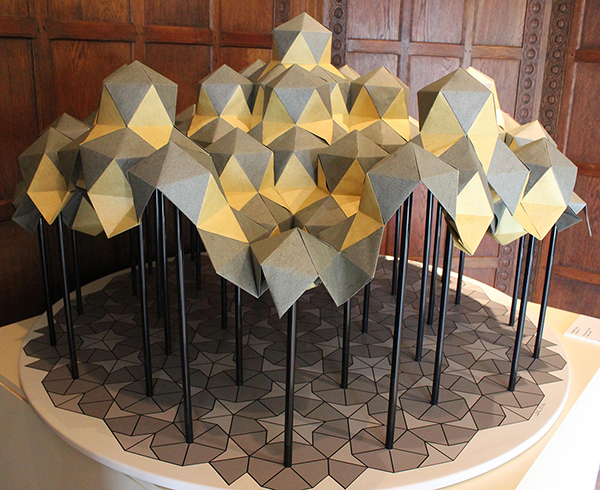 It is increasing in size, with larger single sheets or multiple modules being formed into large-scale sculptures that blend geometry and grace. It is creased and crumpled to create fantastic new worlds inhabited by life-like organisms, and it is folded along curved lines to twist and swirl in unexpected directions, sometimes inside of other materials. Some artists have even employed mathematical theorems to solve folding problems and advance the capabilities of the medium. Now, origami not only expresses the beauty and spirit of natural forms such as birds and animals, but it also touches on religious, social, and political ideas—moving the viewer with both the intricacy of its craft and the power of the artist’s message. 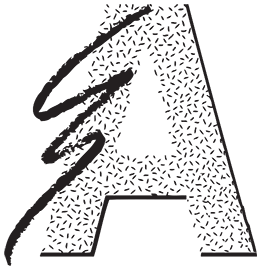 Above the Fold is curated by Meher McArthur and toured by International Arts & Artists, Washington, DC. Top: Erik Demaine and Martin Demaine, Destructors III, 2013, elephant hide paper. Photo courtesy of the artists.